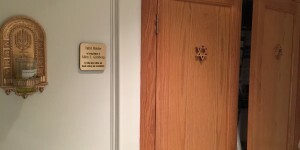 After the synagogue was sold in 1993, its Torahs, ark, Judaica, yahrzeit tablets, and veterans’ plaques were donated to Beth Shalom in Squirrel Hill, which created a dedicated room, the Homestead Hebrew Chapel, to house them. 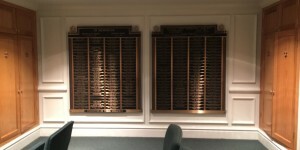 Though this room was destroyed in a fire in 1996, it was rebuilt with replica plaques on the walls. 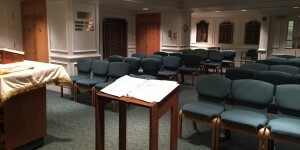 Today this room is used regularly for daily morning minyan and afternoon minyan on Shabbat, amongst other occasions. 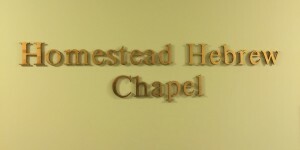 Sign indicating where to find the chapel. Lettering outside the door to the room. The view when you enter. Close-up of the plaque on the right side of the aron. 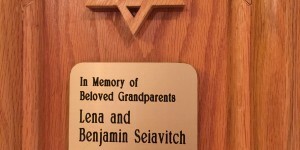 Benjamin Seiavitch (1878-1955) was considered the religious stalwart of the congregation. Lena (1886-1957) contributed much as well. 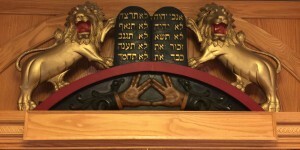 Close-up of the Lions of Judah supporting the Ten Commandments above the ark. I was told they were chosen to evoke the design of the original ark. 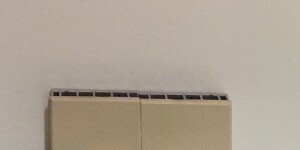 Plaques on the right wall of the room. 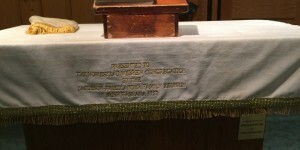 The Torah-reading table in front of the ark. 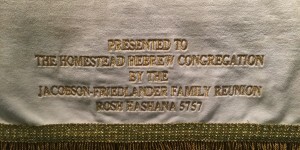 The plaque on the Torah reading table. 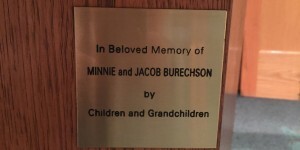 Minnie (1888-1961) and Jacob (1888-1954) had been very active in the shul. View looking back towards the doors. 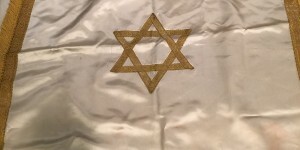 The cloth on the Torah-reading table, used to cover the Torah, is embroidered with the name of the mother (1888-1927) of one of the synagogue’s presidents. She was also the sister of two of the founders, including my great-grandfather! 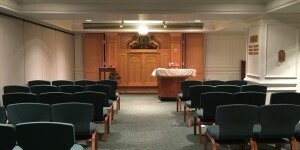 Another view towards the back of the room showing the two alcoves where the yahrzeit tablets and veterans plaques are. 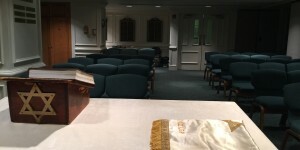 View of two of the yahrzeit tablets in the front alcove. 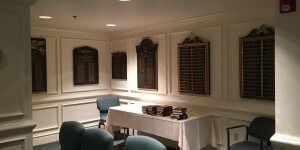 View of the rest of the yahrzeit tables and the veterans plaques at the back of the room. 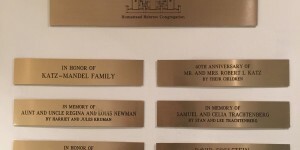 Plaque next to the tallit closet in the back of the room. Allen Grinberg was the son of the one of the earliest Jewish arrivals in Homestead, who became one of the town’s leading businessmen. Plaque next to the room’s lightswitch. Important! 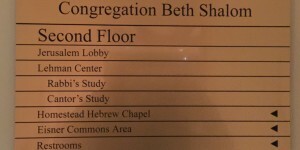 The prayer for the congregation specifically thanks those who give funds for heat and light!